Finafex is a state of the art crypto asset exchange and trading platform that works as a subsidiary of the Capital Investment Bank (Labuan) Ltd (CIBL)-- An Investment Bank licensed under the purview of the Labuan Offshore Financial Services Authority (LOFSA). It is a regulated crypto trading exchange, the first ever in Southeast Asia and the only one based out of Labuan, the Offshore Financial Centre of Malaysia. Finafex aims to be the dominant cryptocurrency trading platform for South East Asia by virtue of location, accessibility, usability, its cutting-edge technology, innovative tools, and trading packages, delivering all in a regulated and legally sound environment. 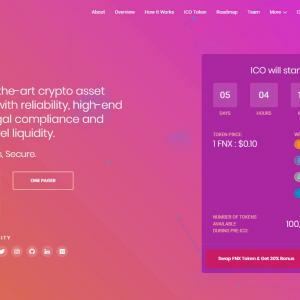 Finafex crypto exchange will start its operation by allowing crypto trading in the 50 leading cryptocurrencies with the pairs such as Bitcoin, Ethereum, Ripple and other selected cryptos. In addition to crypto to crypto trading, Finafex will eventually also trade selected fiat to crypto transaction pairs. Finafex is a cornerstone of the long-term Cryptocurrency and Crypto Asset Industry plans for Labuan, including a vibrant ICO and Crypto Notes launch platform, Global Remittance, and Settlement using blockchain, and an innovation lab on blockchain use cases and token ecosystems.